This is a descriptive analysis, of victims of Turkey’s October 23, 2011 and November 21, 2011 Van earthquakes. The goal of this study is investigated the injury profile of the both earthquakes in relation to musculoskeletal trauma. We retrospectively reviewed medical records of 3,965 patients admitted to in seven hospitals. A large share of these injuries were soft tissue injuries, followed by fractures, crush injuries, crush syndromes, nerve injuries, vascular injuries, compartment syndrome and joint dislocations. A total of 73 crush injuries were diagnosed and 31 of them were developed compartment syndrome. The patients with closed undisplaced fractures were treated with casting braces. 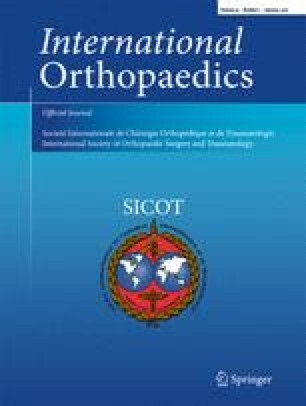 For closed unstable fractures with good skin and soft-tissue conditions, open reduction and internal fixation was performed. All patients with open fracture had an external fixator applied after adequate debridement. Thirty one of 40 patients with compartment syndrome were treated by fasciotomy. For twelve of them, amputation was necessary. The most common procedure performed was debridement, followed by open reduction and internal fixation and closed reduction-casting, respectively. The results of this study may provide the basis for future development of strategy to optimise attempts at rescue and plan treatment of survivors with musculoskeletal injuries after earthquakes.